Predators of the python depend largely on the python’s size and its range. Adult pythons are often preyed upon by leopards, lions and birds of prey. 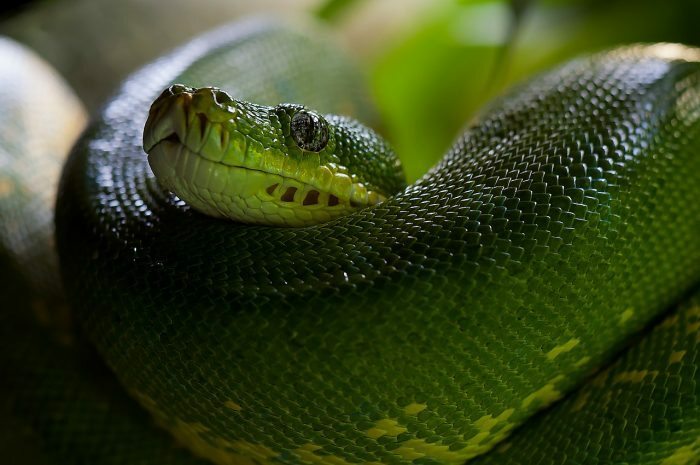 Young pythons may be attacked by spiders, other snakes, large insects or frogs, hyenas, wild dogs and some birds. When threatened, some pythons roll themselves into balls and tuck their heads inside their coils. Some may use their constricting power against potential predators if threatened, while others may assume a striking position or try to escape. Pythons are most vulnerable after they have just consumed a big meals, since this makes them move more slowly.